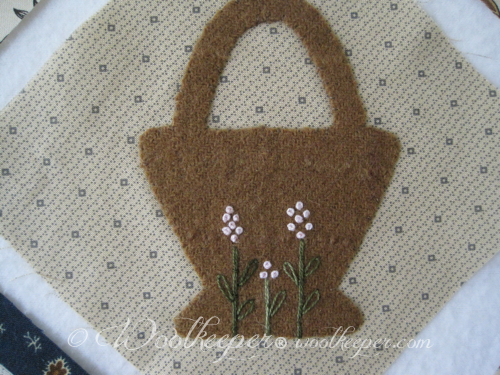 Woolkeeper's Corner is Coming Soon! 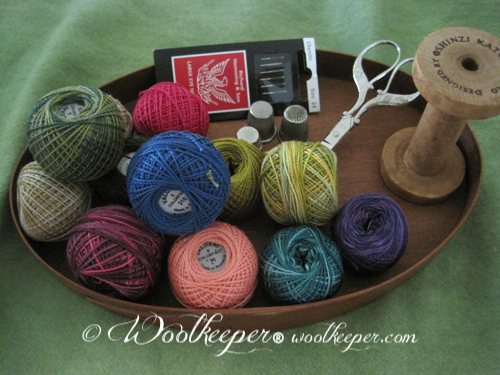 Woolkeeper is expanding! 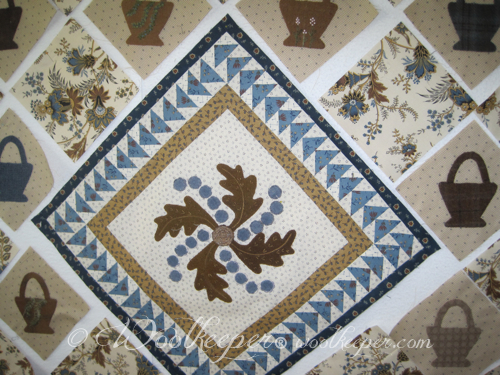 In addition to my online store, I am opening a retail store within a quilt store. 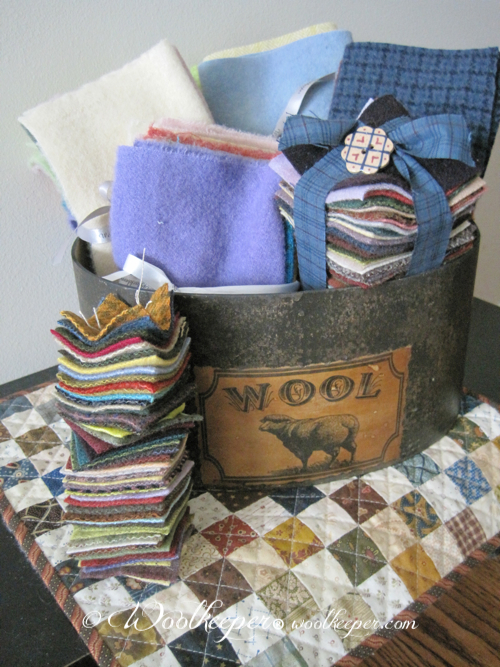 Woolkeeper's Corner will be opening soon in Prairie Stitches Quilt Shoppe at 72 Main St., Oswego, IL 60543. 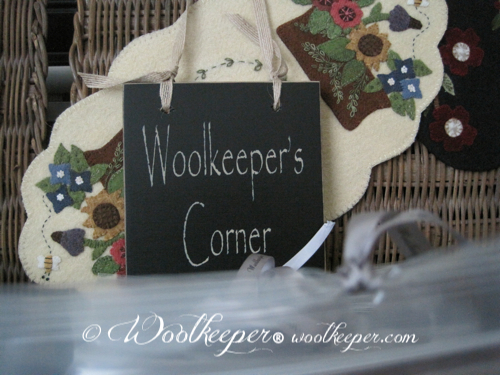 I'm thrilled to have Woolkeeper's Corner within such a fabulous quilt shop. Shop owners Kim and Susan and all the staff have been very welcoming. Thanks so much ladies! 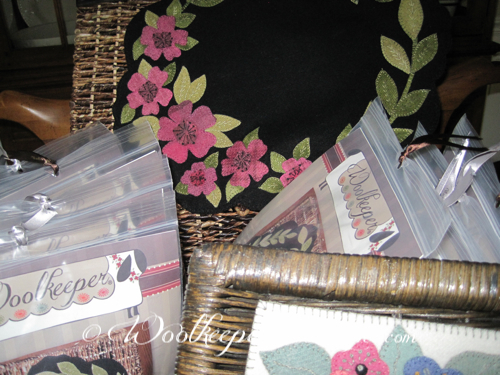 I will stock all my patterns and kits, wool bundles, stash builders, Valdani Pearl Cotton, my decorative pins, and more. I'm planning small groups for stitching time, get-er done sew ins, classes and more woolie adventures. I'm one happy and busy woolie here. 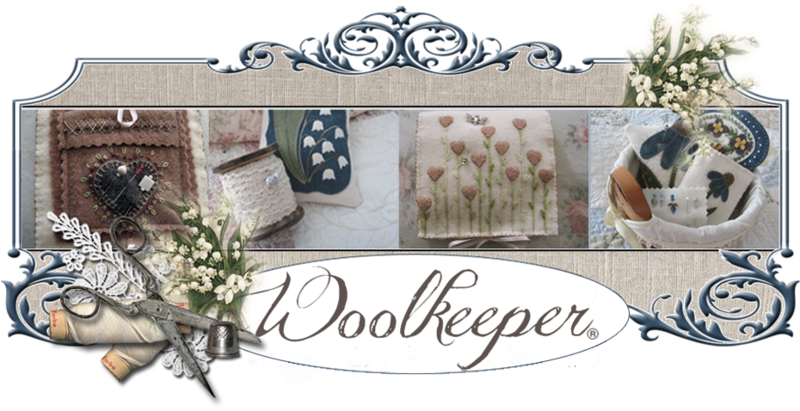 Stay tuned for details on the Grand Opening date of Woolkeeper's Corner. 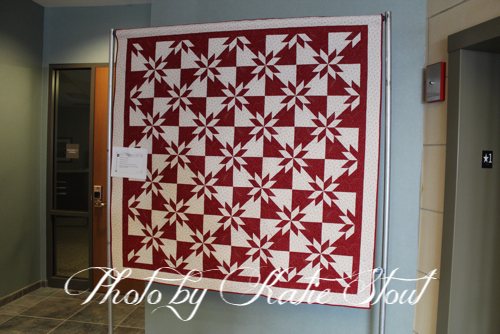 Prairie Stitches Quilt Shoppe and the Village of Oswego hosted the 3rd Annual Celebration of Quilts on June 7, 2014. 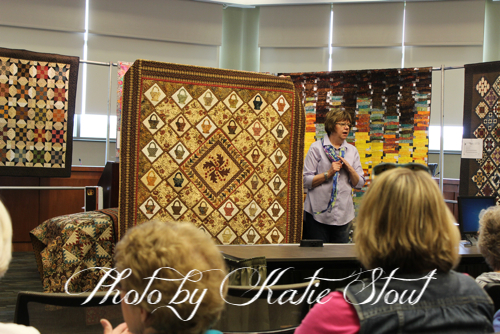 It was a fabulous show filled with beautiful quilts. 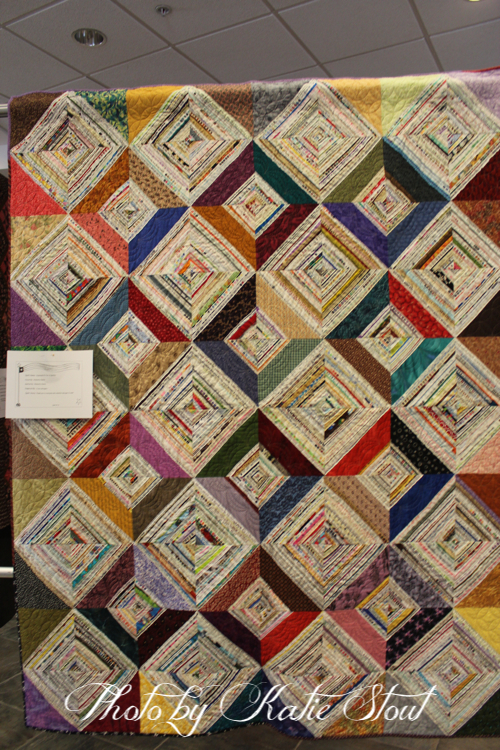 I am always amazed at the talent and creativity in the quilting community. 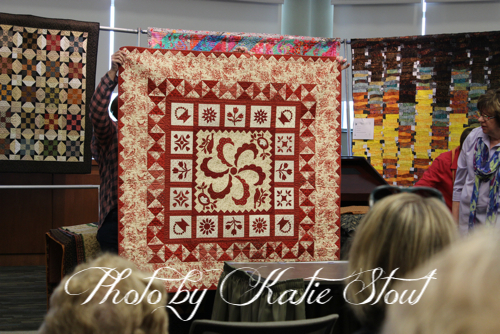 Here are just a few quilts. We were honored to have Jo Morton as a featured speaker. 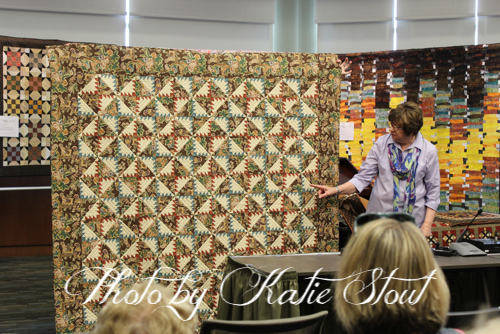 She shared a fantastic trunk show and a doll bed turning of her quilts. 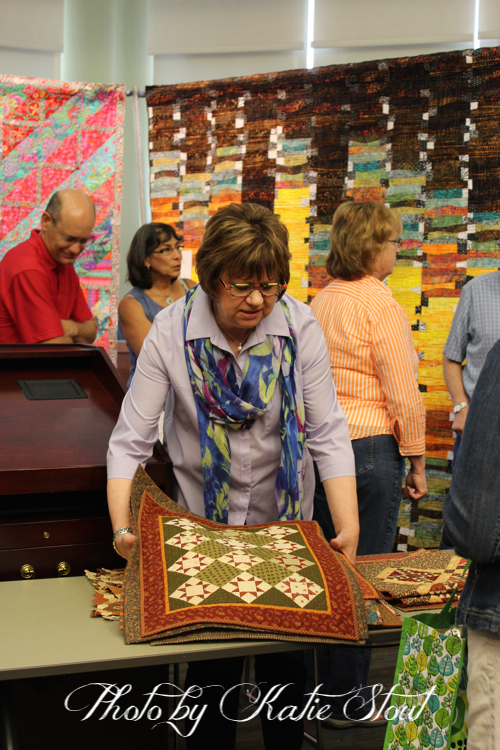 We were treated to quilt after quilt of Jo's awesome traditional quilts. 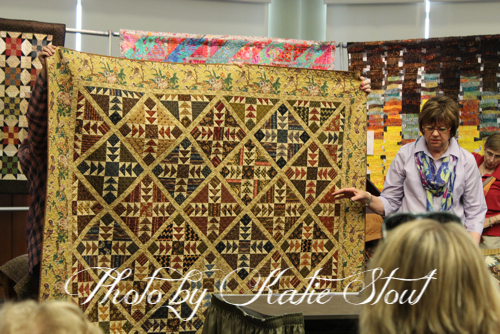 Katie Stout generously shared her photos from the quilt show. Thanks so much Katie! 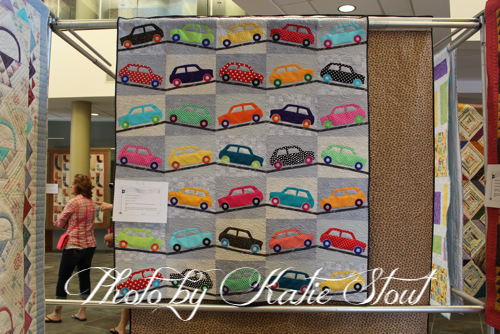 Included in the trunk show was Jo's "Basket Parade" from JLW Club 13. 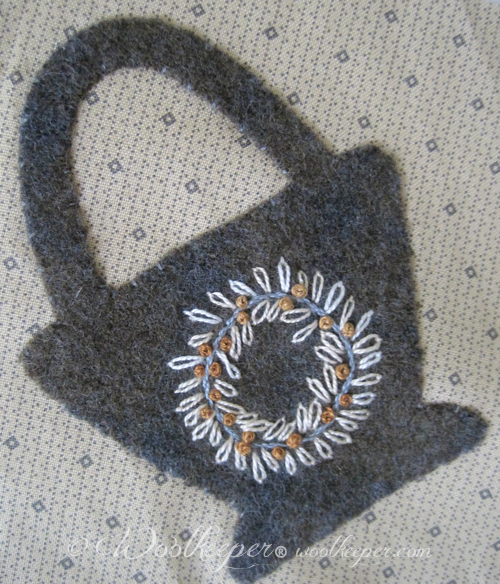 I'm working on my version of "Basket Parade" using wool for the appliques with embroidered embellishments. 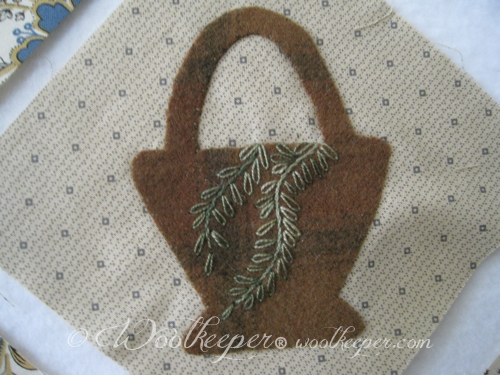 Woolkeeper® is expanding! I'm thrilled! I'm excited! I'm so busy! More details will be coming on my blog and newsletter this weekend. Keep those machines humming and needles moving!